Super sweet tone thanks to its all-Honduran mahogany tonewood and a special sanding process. There is something magical when the same woods are used throughout an instrument – especially when it is Honduran mahogany. 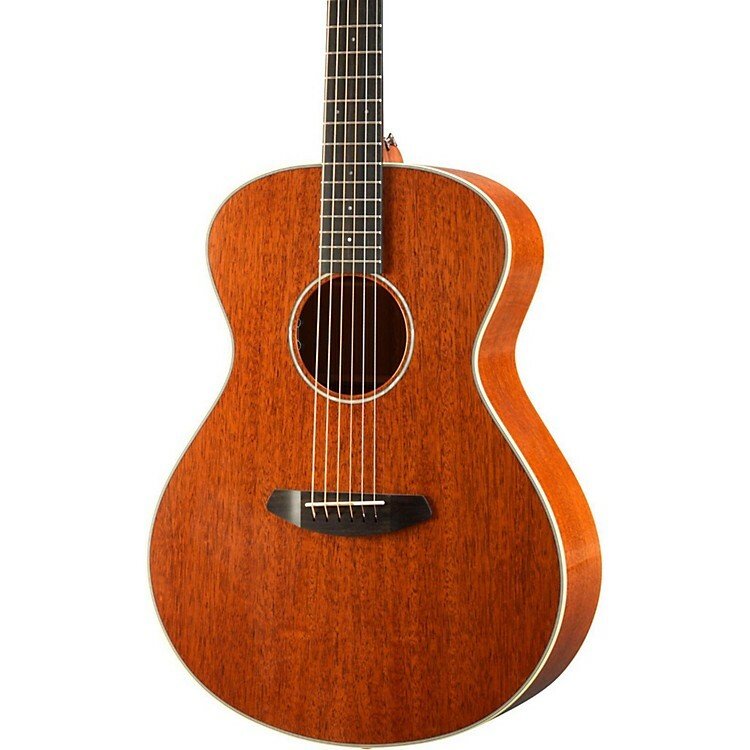 With a specific gravity substantially higher than Sitka spruce, Breedlove is able to sand the tops to a thinness that really drives the top, facilitating plush overtones that mingle with increased instrument projection. Frequently referred to as a sweet tone, the warmth of the Frontier Concert is truly a unique sound and feel. Breedlove guitar necks feature a slimmer neck profile which enables comfortable play, even with smaller hands. Unlike traditional dovetail neck joints that require major surgery for a neck re-set, it is easy to adjust the play action and neck angle with the Breedlove bolt-on neck and single-action truss rod. The hand-rubbed, semi-gloss Breedlove neck finish contributes to ideal playability – the finish process alone takes three days, including precise finish coat applications, fine sanding, and hand buffing and rubbing. Genuine mahogany, swietenia macrophyllia, can be found from Mexico to southern Amazonia in Brazil. Mahogany is a medium-lightweight wood, ranging in color from light brown to dark, and is primarily used for necks because of the feel and the stability it provides. It offers a balanced, resonant tone with notable sustain – a thick bottom end, rich midrange, and controlled, warm top end finish out the sound. The coloration is a reddish brown. Make this Breedlove Concert yours today with a quick click or call. Order now.